A former crime scene investigator is playing a central role in a Florida murder inquiry, but this time as the suspected killer. 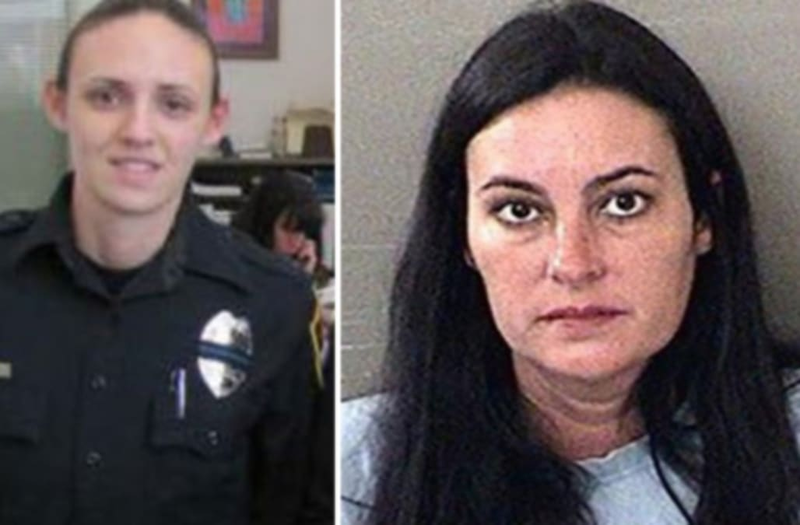 Ashley McArthur once helped solve crimes for the Escambia County Sheriff’s Office, where she's now accused of killing a former police officer whose body was discovered in a cement-covered grave last week. The victim, 33-year-old Taylor Wright, was first reported missing Sept. 8. Investigators initially said no foul play was suspected in her disappearance. However, in McArthur's arrest warrant, police paint a picture of a murder motivated by money. "Prior to her disappearance, Wright told [her girlfriend] that [she] had placed a large amount of money in a safe deposit box that belonged to Ashley McArthur," the warrant reads. The warrant goes on to say that Wright "attempted to get her money back from McArthur several times with no success" before the two met up the day of her disappearance. McArthur told police the two spent the day together until making a stop at her home. McArthur told police she went inside the residence without Wright, who she said was simply gone when she returned. Investigators on the case checked McArthur's bank records and say they discovered that she deposited a check for $34,000 written in Wright's name to her own account in August. Since the deposit, all the money has been spent, cops say. Fast forward to last Thursday, when cops served a warrant at McArthur's family property, where they reportedly discovered human remains along with Wright's personal effects in what cops described as a "clandestine grave covered in concrete" according to local reports. McArthur was arrested and charged with murder, according to the Escambia County Sheriff’s Office.